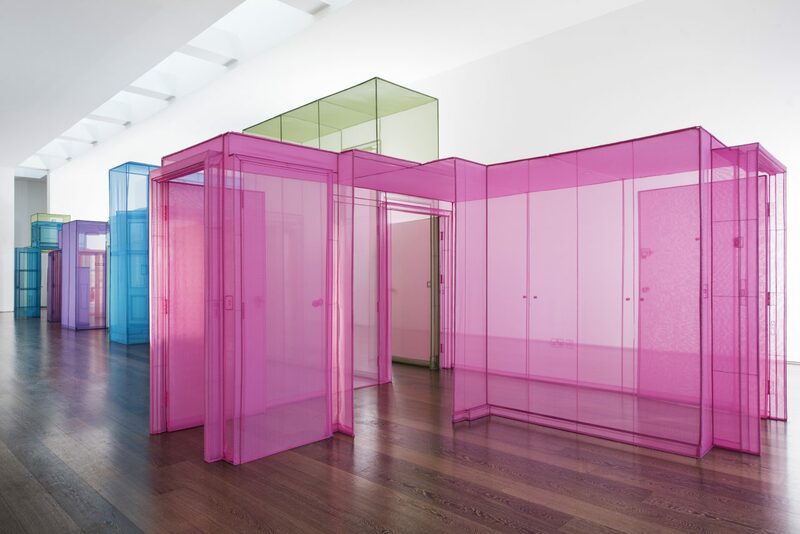 Do Ho Suh’s first exhibition with Victoria Miro will feature new fabric sculptures conceived especially for the galleries, including a walk-through configuration of Hubs, and a range of his works on paper. Exhibited for the first time will be works created by a new process in which Suh’s signature architectural pieces are compressed into two-dimensional ‘drawings’. 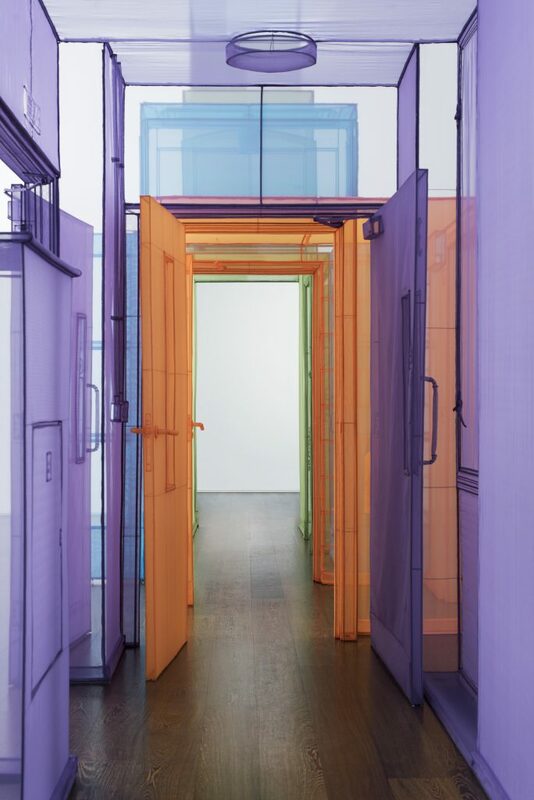 The exhibition will be the first presentation of Suh’s work in London since Staircase-III was displayed as part of Tate Modern’s Collection Displays in 2011, and the most extensive presentation of his work in the UK since his Serpentine Gallery survey in 2001. Inspired by his peripatetic life – leaving his native South Korea to study and live in the United States, he has more recently moved between New York, Seoul and London – Suh has long ruminated on the idea of home as both a physical structure and a lived experience, the boundaries of identity and the connection between the individual and the group across global cultures. 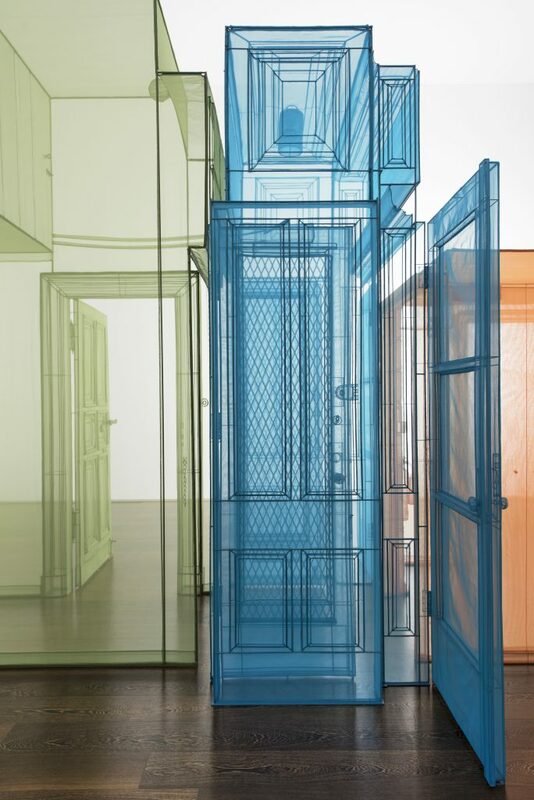 Meticulously replicating the architecture of the places in which he has lived, such as his childhood home and Western apartments, Suh’s translucent fabric structures give form to ideas about migration, transience and shifting identities. These ideas are further conveyed in his Hub works, where transitory, connecting spaces speak metaphorically about movement between cultures and the blurring of public and private, as well as reflecting on the passage of the artist’s own life and the experience of a person who has developed roots in multiple countries. The artist’s move to London provides a thematic and emotional touchstone for this exhibition. Hub, London Apartment, 2015, which was first exhibited in the artist’s solo exhibition at the Contemporary Art Center Cincinnati in 2016, is a partial representation of Suh’s London home. It will be joined by other Hubs – corridor-like points of intersection between rooms – including an evocation of his London studio to create a walk-through configuration of structures occupying the 25-metre-long Gallery II, Wharf Road. Created from stitched planes of translucent, coloured polyester fabric the Hubs – delicately precise, weightless impressions – seem to exist between imagination and reality, past and present. To move through them is to experience a distinct emotional register, a sense of being in flux, crossing boundaries and moving between psychological states. 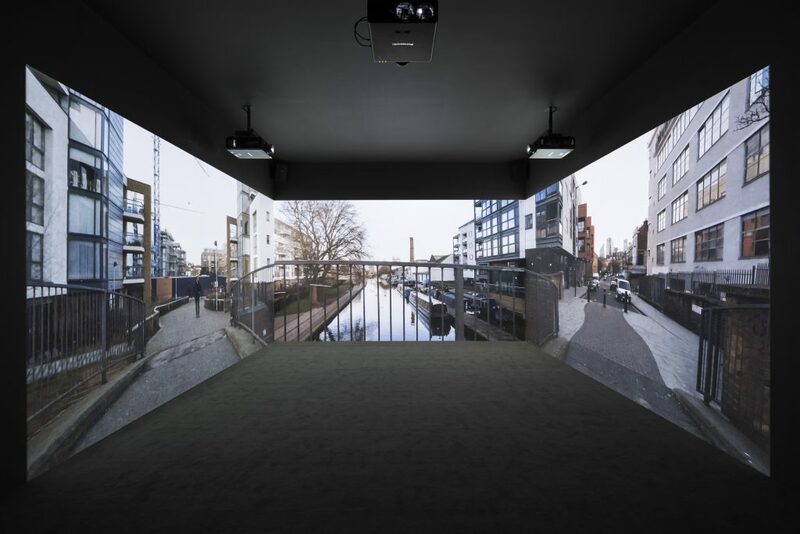 The idea of transient experience as both a sustained emotional state and an act of self-discovery is a theme shared by a three-channel video in which the artist, accompanied by his daughters, explores the streets around his London home. Suh’s move to London approximately five years ago coincided with the arrival of his first daughter. Attaching three GoPro video cameras to a stroller, in the film he captures a newly discovered locale from three different viewpoints while ambient sound from the street and conversations between father and daughters, in English and Korean, signal the crossing of cultural and geographical boundaries. Suh’s work always stems from the measuring of space and the processes, rational yet sensual, that enable him to determine his surroundings. Recently, Suh has completed a major work, the Rubbing/Loving Project, made over the past three years in the New York apartment he first moved into in 1997, shortly after he graduated from Yale University. 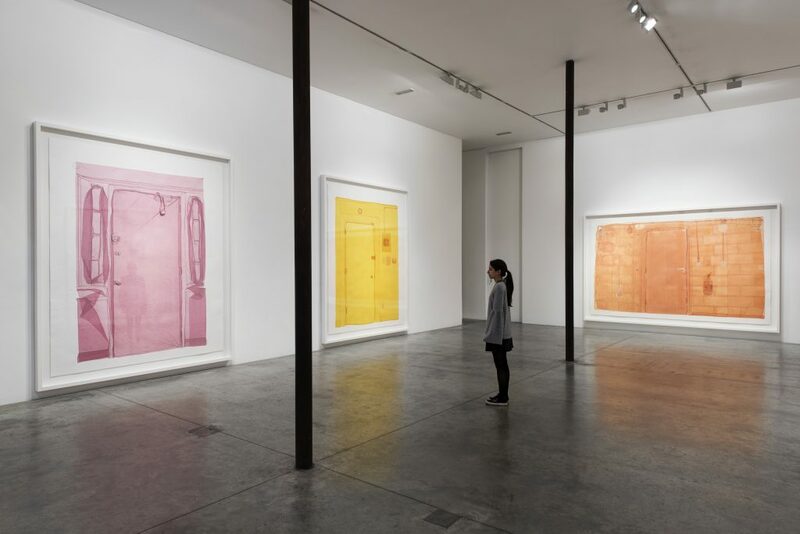 Created by lining every surface of the interior with paper and taking a rubbing by caressing the surface with coloured pencils and pastels – “a gesture of loving” according to the artist – the work speaks to memories associated with place as well as to the warm relationship between the artist and his former landlord, Arthur, who passed away earlier this year. Suh’s permanent departure from his New York residence after twenty years has also inspired a new set of works from his Specimen Series – smaller household fixtures and fittings such as lightbulbs and doorknobs – on display in this exhibition. Constructed from from white fabric and displayed in lightboxes, these appear ghostly, seeming almost to disappear from view. 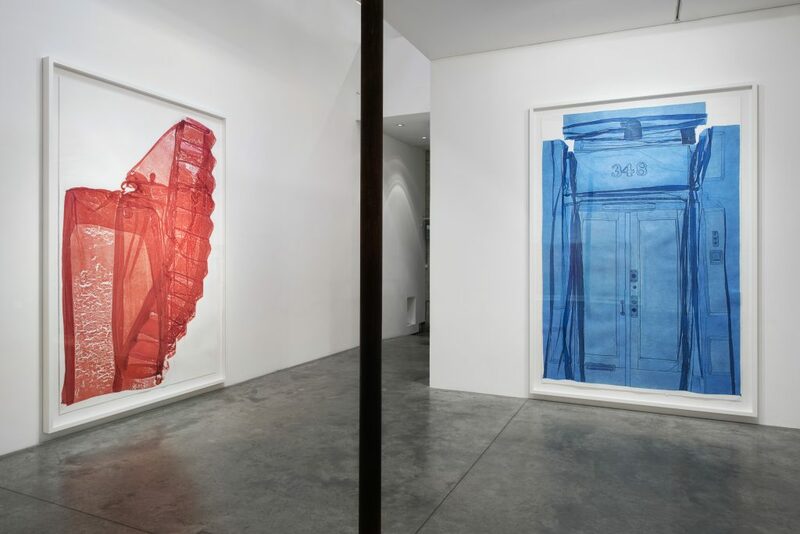 The exhibition also introduces a new process, in which Suh’s signature architectural pieces, such as a staircase and a gate, are compressed into large-scale two-dimensional ‘drawings’. Using gelatin tissue, the works are sewn in the same way as Suh’s architectural fabric pieces. Once immersed in water, however, the gelatin dissolves to leave an image in which the threads appear like a skeletal framework against the coloured form of the object. Residual yet highly visceral, these works draw parallels between architectural space and the body, while continuing Suh’s careerlong investigation into the porous boundaries of identity.